We invite to see children's creation! 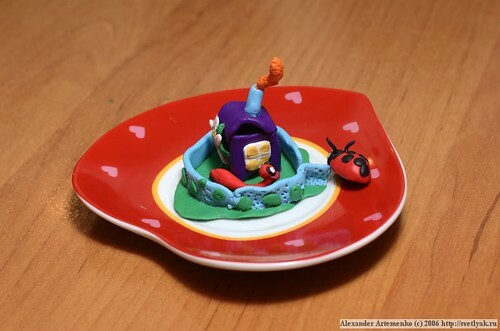 ..and we waiting your story from plasticine! Then she began to experiment with plastice. .. a l s o w o r k s ..
Three ships. They are go to sea to Africa for a doctor. Polimer clay: tale of Veronichka, 4 years old. The best became Elena Fofanova, 2.4 years old. Work "The House and Fog". in the Moscow club "Tea floor, 108" . For the first time plastic - free. Ticket: 600. The price includes the price of tea and ice cream.